Start your morning at SXSW Home Room. 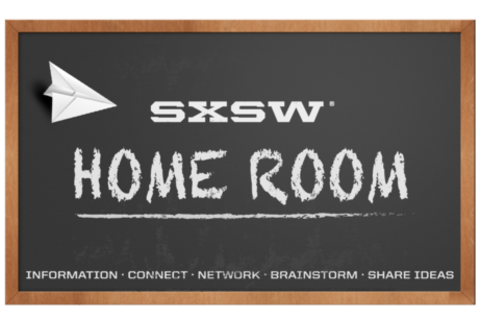 Introduced in 2013, Home Room sessions are part SXSW program information, part meet up. Each session is led by two Home Room Leaders who will help you get the most out of your day, and your badge. These SXSW insiders will provide insight and guidance about the day's schedule and events, including last minute schedule changes. You are invited to bring your questions, and take notes while you network. Alix Morrow is a strategic planner who specializes in consumer market research. She's thrilled to be a home room leader again at SXSW Interactive this year. Contact Alix with any and all SXSW Interactive questions. Her areas of expertise include Austin restaurant recommendations, festival cheats [more locker rooms this year! ], directions, and notable trends in programming. She will be sharing daily updates and the latest SXSW Interactive news with home room attendees. My name is Amanda O'Brien and I have been a graphic designer for over 10 years and have launched mobile games to product lines and everything in between. SXSW has been amazing to me and has always brought forth new work, new ideas and has changed the course of my career. In 2011 I met the guys from Game Salad and I ended up creating my own app called "Sophie the Circus Cat" I have had the pleasure of meeting amazing people like Jarod Leto, Jonah Peretti, and a big one for me was meeting Jane McGonigal, twice! I attended SXSW when I was young and it was just music back in the day but in 2010 I moved to Austin and attend the Interactive SXSW and I have been hooked ever since. I'm honored that I get to participate in Home Room this year to give tips like, where the free stuff is, to getting around town to conserve energy for the all night parties! And SXSW is about socializing and talking to people so stop by Home Room get the latest updates and information. See you at SXSW 2014!